Added by on 07 July 2007. An old Indonesian Isuzu / Morita Snorkel truck. Added by Bomba Boy on 07 July 2007. An Old Break Squart Pumper. 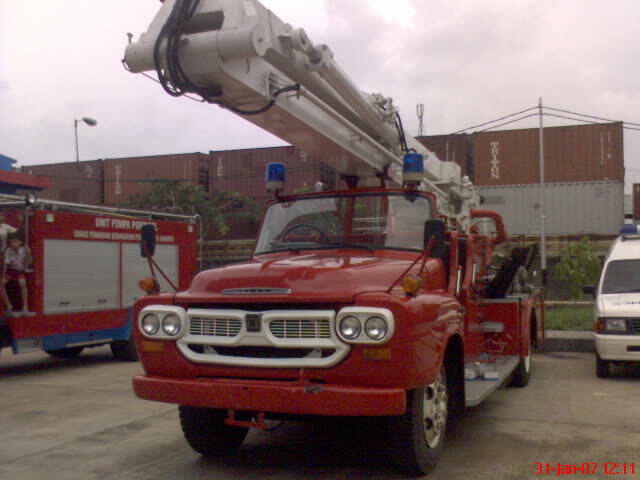 Isuzu, with morita pumper and breaker wall. The Vehicle Is not fight Anymore, it keep on main garage. Added by Ekost on 14 July 2007.